Languages: Spanish, French, German and Hebrew. Interests: Politics; Finance; Architecture; Traveling; Sailing and Skiing. Masters in International Private and Public Law from Sorbonne University in Paris; a Ph.D in European Law from GW Goethe University in Frankfurt, and a Law degree from Universidad Autonoma de Madrid. “When you invest in real estate, you often see a side of humanity that any other investment will shelter you from. You see art, you see expectations, you see a home!” Having lived around the world and being fluent in multiple languages, Eduardo is skilled at the art of selling his clients a lifestyle, not just a property. To do ensure that their new home and neighborhood meets their unique needs, he employs a thorough education and an honest, empathetic approach. In real estate, a serious work ethic and problem solving mind set are critical, according to Eduardo. He has perfected these qualities along with the tenacity, financial expertise and negotiating skills he brings to every deal. As a former lawyer for an investment banking firm in Germany and Spain, Eduardo negotiated multimillion dollar transactions. He also worked for a venture capital firm in Tel Aviv, Israel, was a development aid project manager in the Middle East, and a development aid consultant in Spain,and Brussels. Originally from Madrid, Spain, Eduardo speaks fluent Spanish, English, German, French and Hebrew. 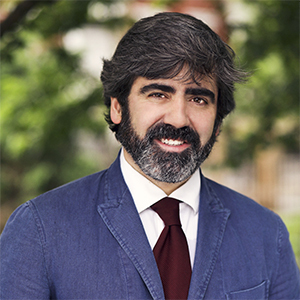 He holds a Masters in International Private and Public Law from Sorbonne University in Paris, a Ph.D in European Law from GW Goethe University in Frankfurt, and a Law degree from Universidad Autonoma de Madrid. His international experience living, studying and working in Spain, Germany, France, Israel and the U.S. gives him a unique global perspective and keen ability to understand a diverse clientele’s needs. Whether you are relocating to New York from overseas or are moving to a new part of town, he will serve your needs with complete dedication and accountability to ensure that your goals are met. Eduardo is a true architect lover who has previously lived in Central Park West in Manhattan,in Fort Greene, Brooklyn and currently calls Downtown Manhattan home.He is married to a diplomat, and has a deep interest in International politics, philosophy, gastronomy, wine, sailing, skiing and rugby. Eduardo is a proud member of the Metropolitan Museum of Art; the 92nd Street Y and REBNY - Real Estate Board of New York.